And former magazine editor and fashion merchandiser Cristina Gomez-Ong, who is 36 weeks on the way, is no exception. But for Mike, it was a completely different experience. “It wasn’t just overwhelming but very confusing,” Cristina adds. There are just so many complicated products out on the market. “For instance, a tub insert. So I exclaimed, ‘Oh, the baby needs a tub?’ As a baby, my mom told me that she would give me a bath in a palanggana (washbasin),” she says with a hearty laugh. Mike definitely had no idea what swaddling was all about. “It’s all my fault. I pushed my husband and I onto a parenting bus filled with all these complicated products when, at the end of the day, all you need to do is go back to the basics,” says Cristina. Swaddling is a traditional practice of carefully wrapping a baby in a soft blanket. This method provides a sense of safety and security for babies, and is also a way to help lull them to sleep. On the third day, Christine got a little help from the nurse, who taught her how to swaddle. “It was like magic. For the first time, my baby slept — well, like a baby! But you have to swaddle right and with care,” she adds. Christine gave birth in the US and was spoilt for choice when it came to safe baby products like swaddles. “Here in Manila, it’s hard to find a swaddle that’s made of high-quality breathable fabric,” says expectant mother Cristina. Not until an enterprising mom brought the popular New York brand Aden + Anais to Manila. “Just like Cristina, I, too, had a hard time looking for the perfect swaddle, until I discovered Aden + Anais on one of my trips to the US,” enthuses Gretchen Choa-Uy, the official distributor of Aden + Anais in the Philippines. Aden + Anais is a global brand that thoughtfully cares for babies’ needs. 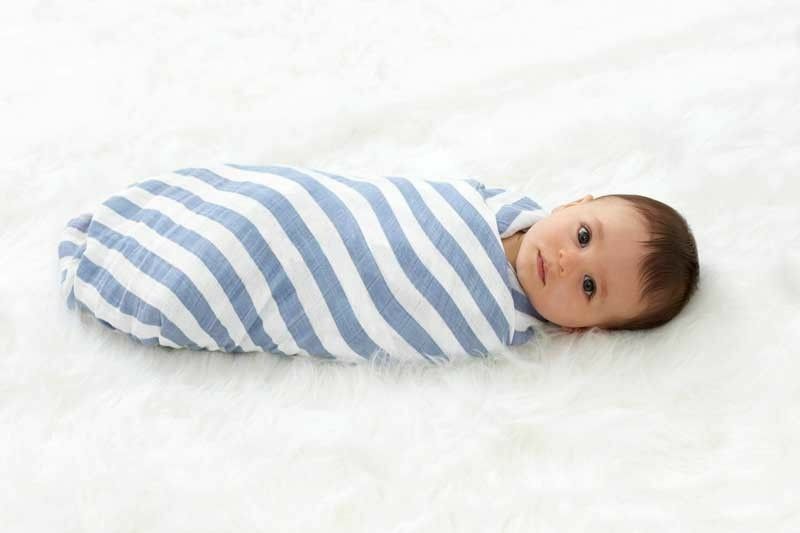 In the Philippines, the main highlight of its product line is the swaddle blanket. Aside from Aden + Anais, Gretchen also brought to the country Seventh Generation, a trusted brand offering hypoallergenic products designed to clean, soothe and shield baby’s delicate skin. For the past 30 years, Seventh Generation has been on the forefront of caring for both the current population and the next seven generations ahead. The brand believes that plant-based products can provide the efficacy everyone is looking for. “And products designed from renewable plant-based ingredients are a more sustainable option than ingredients made from petroleum,” explains Gretchen. According to Gretchen, since she started using Seventh Generation products in the home, her son’s asthma attacks have lessened. “Me and my other son were also spared from pesky eczema,” she adds. It’s time to give your family a clean and fresh start every day with Seventh Generation. All hypoallergenic products — diapers, wipes and Free & Clear detergent — are made to keep your baby’s sensitive skin clean and dry. For the family, the laundry detergent formulas are tough enough to remove the stains that every homemaker knows all too well. Aden + Anais products are available at Rustan’s Department Store, The Parenting Emporium, The Nest Parenting Hub, Mothercare, Baby & Beyond, Modern Mama Baby Shop, BaoBao Baies and Urban Mom Store. For inquiries, visit www.adenandanais.com. Like and follow @adenandanais on Facebook and Instagram. Seventh Generation is available at Ace Hardware, Robinsons Supermarket, Rustan’s Department Store, The Parenting Emporium, Modern Mama Baby Shop, My Baby Planet, The Nest Parenting Hub, Baby & Beyond, The Green Company, Earth Origins, and Ultra Supergreen. For details, visit www.seventhgeneration.com. Like and follow @seventhgeneration on Facebook and Instagram.